I like your low-key Christmas Eve tradition. Sounds like such a nice way to start out Christmas! I didn't know about Geekdom House...very cool magazine and organization! Congrats on having your story included in the latest issue! Congrats on your new release and to everyone else with a new work out! Congratulations on the story, Alex! Merry Christmas, Alex, and best wishes for a wonderful New Year! Congrats on the story. Still haven't watched into the badlands, guess I'll have to get on that. An iPad pro would be cool to have, though I can only imagine the number of times my kids would steal it from me if I had one. I always wanted a guitar, but I've still never gotten one. Maybe I can eventually get one for my kids and sneak in a little time attempting to play it myself! That was an awesome story! Sounds a lot like when I play. :) Congrats to everyone releasing a book. And yeah, that is an awesome way of spending Christmas Eve. I love that we decided to stay home for Christmas the first year after my son was born. It's much more relaxing and gives us a lot of family time. And on the geek side, Doctor Who Christmas special! *LOL* Have a very merry Christmas and see you in the new year. When our oldest granddaughter was about 4 she asked me to bake a birthday cake for Jesus. She's nearly 17 years old now and I still bake a cake for Jesus every year. As soon as the children are all out of school for the holiday break we have them all over for a sleepover and then we make Christmas cookies. This time of the year can be an unhappy one for many. So I do what I can to lift them up in prayer as well rejoice in the birth of our Lord and Savior, Jesus Christ. We added a new Christmas tradition a couple of years ago that works well for our family. We have Christmas eve brunch. Hubby and I cook all different kinds of breakfast foods, and chocolate chip pancakes we open presents,etc. Then in the evening they go to their in laws for Christmas eve dinner. Then on Christmas day our daughter and her family stay at home in their pajamas all day. I'd never heard of Geekdom House, but I'm going to have to check it out. This will be our first Christmas in a long time with relatives nearby. Usually, we keep it calm and to ourselves. See how this year runs. Into the Badlands sounds good. And have a very Merry Christmas and a blessed New Year! Have a blessed Christmas and enjoy your break. I gotta check out Badlands, sound like my kind of show. Congrats on your story, too. I'll definitely check it out! Pat, it's a cool show. LG, you need to ask Santa. I recommend learning to play guitar! Katherine, cool he proposed and that you still make a cake for Jesus. I like your traditions! Tamara, glad you caught that. Your D&D story was funny. Our tradition always includes watching the Muppet Christmas Carol. Nice way to spend Christmas! Area of Effect certainly sounds like a unique magazine! The subject of faith and fandom could probably be a good subject for a research paper, or even the right Ph.D. thesis. I'll have to check out the Geekdom House thing--never heard of it before, but it's cool that you added a story to their current edition. You have a great Christmas break as well! It's always fun to watch Christmas movies, I have a list of some I like to watch each year, including White Christmas, Elf, and Home Alone :) Congrats on your story, I'm going to have to go check out Geekdom House! I hope you have a wonderful Christmas and Happy New Year! Hope you have a wonderfully Merry Christmas! Congratulations on the story, Alex. Yes, your wife is awesome indeed for your gift of two guitars! What a surprise I bet that was! Geekdom house sounds pretty cool. I'm going to have to watch Into the Borderlands as well. There are sooooooo many books I want...it never ends. Well done on the story. Love the D&D story. Yeah, we've both been there and played many a game like that. And my mom keeps telling me to watch Into the Badlands. Between her and today's post, I think I'm going to have to. Love to you, Mrs. Ninja, and Mini-Alex for a blessed season. Dungeons and Cookies is a great title. No. No more new books. My poor Nook is filled to bursting. There's this thing in knitting about yarn supply larger than ability to knit it all in one's lifetime. I may be approaching that in books. Many congrats on the story release, Alex. Wishing you a wondrous Christmas. Congratulations on your story in Geekdom. I haven't heard of that before. Congrats on your new story...you are always so busy but with joy I believe. Where is the Ninja with his Santa Hat?? I love it that you got 2 guitars and that you watch Christmas movies. What gift did your wife love to receive from you? I'm afraid that AMC's attempts to ram Into the Badlands down my throat by making me have to watch part of an episode to see previews for The Walking Dead or even the final scene in the mid-season finale turned me against the show. If it really is a good show -- then great. AMC should have let it shine on its own instead of ticking off TWD fans. I saw a little bit of Into the Badlands but couldn't get into it. Congrats on having your story included in the winter publication. I have not heard of Geekdom House but, it sounds like they have a good mission. Building that bridge of togetherness. I wish you and your wife a very Merry (Christ)mas...how wonderful of her to buy you a gift to full-fill your passion for music. (Rock-on). Enjoy your must deserved break! I love chill Christmas eves :) Thanks for writing, Alex! Congratulations on the story, Alex. I love the little traditions of Christmas and the fact everyone seems to have their own. Me? I've taken a break from writing my next book or anything new on Blogger. I'll still be reading and commenting, but spewing reposts is pretty easy. Carrie-Anne, sounds like something right up your alley. Betty, it was a huge surprise! Brandon and Bryan, it is wicked cool. Listen to your mother. Birgit, someone needs to make him a Ninja hat. Truedessa, always Merry Christmas from me. What a wonderful Christmas surprise Allison gave you. :-) It is turning out to be a grand Christmas for you, isn't it? You have a nice small, healing Christmas Eve tradition. Me, it is watching DIE HARD I and HOME ALONE II! May this Christmas Season be all you wish it to be! I visited Geekdom House and found the geekery editions quite fascinating. Is your story in the Ist or 2nd edition? Its cool you're immortalized in their Science Fiction archives. Christmas Joy - I'm spreading the good word. You got me interested in seeing Into The Badlands. I love movies that are chock full of cool and dripping with style. What makes Christmas special for me is the opportunity for all of us to set aside our differences, call a truce, make peace and share unconditional love. For that reason I believe in celebrating Christmas 365 days a year. Happy holidays to you and yours, good buddy Alex. I'll see you on the 4th! Alex! Thank you SO much for the spotlighting Crimson Earth on your blog today!! :) I feel so honored. And this is the first I've heard of Geekdom House--congrats on your piece, Dungeons and Cookies! Congrats on the publication, Alex! Congratulations on your new article that was published! That was very nice of your wife to get you not one, but two guitars! Wow! Merry Christmas to both you, mini-Alex, and your wife! Alex, congratulations on your submission to the magazine. It's sounds like an awesome publication. Into the Badlands sounds interesting. Congrats to everyone with new releases. Wishing you, your beautiful wife and Mini-Alex a safe and most joyous holiday season. Huge congratulations on your story. And to everyone with a new/recent/forthcoming release. I hope you and yours have a truly wonderful Christmas. An iPad in every room? I like your holiday tradition and wish a blessed Christmas to you and your wife. Wishing you and your wife a very Merry Christmas. Into the Badlands sounds like something I'd watch. Congrats on gaining more visibility! Hope you and mini Alex enjoy your blog break. Also hope you get a chance to check the WEP December entries later this week since they are scifi based and you gave us great pointers on that with Denise. Have a great Christmas holiday, Alex! Merry Christmas, Alex! Hope you and your family have a lovely one. There are so many great traditions! With our family growing up, we're making new ones, and that's fun too. We've had Christmas songs blasting throughout the last week or so - Barbra Streisand's Jingle Bells is a current fun favourite. I hope you and your wife enjoy a wonderful Christmas!!! Have a wonderful holiday and yes, you're wife sound like a keeper for sure. As for Christmas Eve, Tim and I LOVE spending it together. Cheers to you and Mrs.
Roland, Into the Badlands is so cool. Thanks for commenting, Spacerguy! First edition. Shady, I wish we could celebrate it every day of the year. DG, I am judging them, so I will! If I had to pick some Christmas music it would be Trans-Siberian Orchestra. Have a great Christmas! Have you seen the stuff for the Crouching Tiger sequel? The Badlands is the best TV show in a long time. Where is it filmed? God bless you, Alex! And give you the happiest of all Christmases! An iPad for every room of the house! Ha! That makes me think of the Christmas commercial I keep seeing with the guy that grabs the "Bathroom Tablet" from his wife on his way into the bathroom. Big congrats on getting published. I will definitely check it out. Have a glorious, blessed Christmas. I'm heading north to Ohio to spend Christmas with family and friends. Nothing like seeing my grandkids on Christmas morning. Christmas eve morning I spend cooking my special sugar cookies with homemade butter cream frosting. They don't taste good the next day. It's hard to save at least one for Santa. Yay!!! Congratulations. And I hope you have a great Christmas, although I'm sure I'll be seeing you in the comments sections of many blogs over the next few days or so! Wish I could afford all these gadgets but not on the books I'm afraid. I would love an iPad but I don't think Santa will be bringing me one. What makes Christmas special, good friends and their closeness which is enhanced at this time of year. Congratulations on your story in the magazine. Great news. Donna's picture book is adorable. 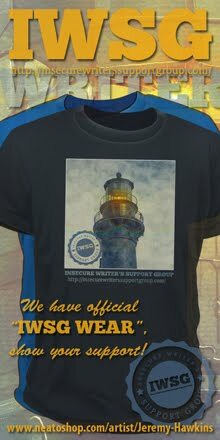 It would make a wonderful gift for Christmas. Congratulations on your invitation to write a story for a magazine. I hadn't heard of them. We do a low key Christmas Eve too. We usually go to a Christmas movie and then come home and snack. I visited my mom today like I always do. She thought Christmas was over and I had to tell her, several times, that it is not and that it is only the 14th. I told her that I wrote about Christmas and how she brought Christmas to my dad and us and her Christmas when she was young. I told her that I received responses and when I mentioned what you had written she just looked at me and said "He said enchanted?" I said yes and she was greatly touched. She was so happy to hear this and I wanted to let you know. Thank you Alex and a Very Merry Christmas! Congratulations on having your story published. Did you learn to play the guitar, or did you already know how to play it when you received these guitars. I hope you and your wife have a terrific Christmas and I look forward to reading more of your blog next year. Take care. Merry Christmas, Alex! Sounds like you have some fun, relaxing Christmas traditions. This year, I'm just trying to keep the panic at bay as I try to deal with all the challenges of moving my blog. I hope you'll come by and visit, even though we're on WordPress now! Alex, Congratulations on your story. That's exciting! Christmas is all about family and friends. We go to church, eat, talk, laugh, eat some more, sing Happy Birthday to Jesus and play games!! May you have a splendid and peaceful Christmas, Alex! And congratulations on your well-deserved appearance in Geekdom House. Me, I'm more nerd than geek so I won't be checking out (and can't afford) the iPad Pro, but I'm sure you'll be most creative with yours. I've checked out the Badlands and am also impressed with the action and how it's choreographed and filmed. Yay on the short story. I'll check out Elizabeth's blog. Happy Holidays! Congrats on your new release , loved the book reviews and that wonderful "Mini Alex" was a pleasure to see. Awesome that your story is in Geekdom House. Have a great Christmas as you celebrate the birth of Jesus! Congrats on writing for Geekdom House. I haven't checked it out before. I would love to get an iPad Pro for my daughter, but she doesn't want one. Lots of great new books. Merry Christmas and Happy New Year, Alex. Congrats on the story placements! I'm so glad you're enjoying your iPad Pro now that you have the correct gadget to go with it! Congrats on your entry for Geekdomhouse! What a great idea! Have you seen the trailers for the new Star Trek and the new Independence Day? I thought they both looked good. I like the concept of ID and that they say they were preparing for the return. I hope you and your wonderful wife have a lovely Christmas Eve and Day! Thrilled for you, Alex. One more addition to your accolades. Very deserving. I'm going to start watching Into the Badlands. It looks so interesting! Best wishes for a blessed new year and Merry Christmas. You are deserving of both and more. An iPad in everyone room? That's good clean living, unless they all "wake up" together and start controlling your house! Congrats on the story publication. You and Mini-Alex continue to rock the writing world. I'm glad you enjoyed Into the Badlands. I felt blackmailed to watch it and so haven't. I'm not a big "fight" fan, but the politics of it looked intriguing, so I really would have given it a shot already if AMC hadn't been so bloody heavy handed with promo. All the best for the New Year, Alex - and thanks for all your recommendations throughout 2015. 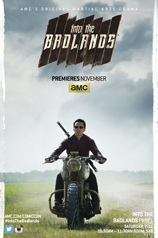 Have to check out Into the Badlands - sounds interesting and cool. iPad Pro seems to be on the steep side for me. Not likely to be picking it up any time soon. The AtoZ pick sounds like a great theme. I shall have to stop over and read some of the entries. Pretty cool. Susan, filmed in New Orleans, believe it or not. Birgit, I'm glad my comment touched her. Stephen, I didn't know how to play when she bought me the first one. Helena, it's just a great show. Rhonda, get one for yourself then. Heather! Yes I have. Both look awesome although odd they would wait twenty years to make a sequel. As always a lot of great news. You ARE a geek and that's why I like you. I have one iPad and one MacBook. I also have a Dell laptop, but use it little these days. For the most part I like Apple products. But now I'm wondering, do I like them or am I stuck on what I know to be good? Merry Christmas, Alex!! I'm so blessed to know you through our blogs and your books. I pray that your New Year (for you and your wife) will exceed any blessing you could ever imagine. I truly wish I had your flair for blogging. I have never had 84 comments on my blog ever!!! :( How do you do it? Anyway, Merry Christmas and a very Happy New Year! I keep looking at 'Into the Badlands' but haven't yet given it a try. It sounds really cool though! I'll have to check it out. Oh, congrats on your short story! Have a wonderful, blessed Christmas and a Happy New Year, Alex!!! So excited about your short story! And wow, you're wife is wonderful to give you TWO guitars! Your Christmas Eve sounds fun. We occasionally do that too. Christmas Eve is our anniversary. 3rd generation of Christmas Eve weddings. yay for GeekdomHouse! I enjoyed your unconventional dialog story! How awesome we were both there this week! I was excited that several of my students read mine. I read back through some posts I missed - always love your review/previews! Congratulations on the article in GeekdomHouse! Have a very Merry Christmas, and a wonderful Christmas Eve with your wife! Have a wonderful Christmas, Alex! Your Christmas Eve plans sound wonderful. We'll be up in Breckenridge with Terry's sister, husband, and family. I'm very excited to be with everyone! Congrats on your story in Geekdom House! I shall read it, but not till I've gotten all my Christmas prep done! Congrats on the Geekdom House story! And your Christmas tradition sounds awesome. Low-key fun with loved ones like that never fails to be the best way to spend the holidays! Alex, congrats on your story in Geekdom House! Holiday movies and snacks are the best! Hope that you and your wife have a very Merry Christmas, and a happy and healthy New Year! Many congratulations on your story. My best Christmas present ever has to be the 'Calamity Jane' DVD. I love that film. Wishing you a wonderful and joyous Christmas and all the best for continued success in 2016. Glad you're loving your new toy, it does sound like you've made it even more fun w/your new accessory. Merry Christmas to you! Will be trying to find Into the Badlands Alex. Around this time of age and times it is a quiet Christmas that's most of us do celebrate. The more boisterous ones are for the youngsters. Merry Christmas Alex and Happy hols! 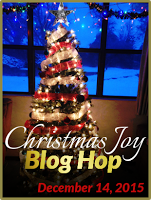 I love the idea for the Christmas Joy Blog Hop. I'm going to check out more entries. That iPad Pro looks like all sorts of fun. Good to see that you still write. and our daughter is celebrating Christmas with her friends. Dear Alex I wish you and your wife and wonderful Christmas - Enjoy Fallout 4 - and All The Best - especially health and joie de vivre -for 2016. Congratulations on your story Alex! Whoop! Whoop! Many blessing to you and your family. I hope you have a wonderful Christmas and that the New Year will only bring wonderful things your way. Thanks for the update on the IPadPro. Since I don't have that sort of money right now... I guess I'll just be daydreaming for a while. Always good to see mini-Alex. I hope all of you have a very Merry Christmas!!! What a sweet Christmas tradition. Glad you like your IPadPro so much. I'd like the Surface Pro, but can't justify the cost either. I just got an Amazon Fire I'm starting to play around with. Merry Christmas, Alex! My husband and I love spending time together watching movies over the holidays. Have a wonderful Christmas, Alex! Same to your wife. Congratulations on the story request! I am really curious about the ipad pro. My daughter has an art tablet but I haven't been really impressed. She loves to draw anime and is currently wanting a new art app. I'll have to look into it! Christmas changed for me after all the kids were grown and moved away. Now it's a time to reflect, listen to Christmas music, and enjoy the beauty and meaning of the season. I don't mind skipping all that decorating and shopping, but I do weaken enough to make at least one batch of cookies. Teresa, Merry Christmas from Alex the Geek! Lauren, she's awesome that way. Tara, thanks, and I still need to go back and read yours. Busy week. Edi, Merry Christmas to you, and I can't wait to unwrap Fallout 4. Patricia, you have to have cookies. Merry Christmas to you, Alex! So what do you do with an iPad pro? My favorite part of Christmas is spending time with my three nephews and two sisters (this year in Park City, Utah). Geekdom House has got to be cool with a name like that. I'd never heard of it before this. Must check it out. Now I'm jealous. I want an iPad in every room. I'll mention this to the hubby. :-) We have smartphones and MAC computers. Congrats to Donna, Angela, and Catherine. My favorite Christmas tradition is having a day when I'm with my hubby and kids, and there is no cyber stuff happening. Just family stuff. I love this day. It is the day we celebrate the birth of our Messiah. WOW. I am so thankful He died for my sins. I wouldn't stand a prayer of a chance without Him, Alex. The Kissed by an Angel anthology came out this week. You know I'm flying high, my friend. What a great Christmas it is. Merry Christmas. Tell Mrs. Ninga Captain I hope she gets her biggest wish this Christmas. P.S. thanks for what you said over at my blog today. I needed that. It meant the world to me. Chill, dude, I have arrived! Yay! Geekdom House seems interesting and here's to all you Christian believers. It looks like a nice balance. I hope you have a wonderful time with your Christmas Eve tradition with your beloved wife. And a peaceful, positive Christmas with a wonderful world renewal of hope in 2016. Alex, i'm nerds a geek who identifies as Christian so I'm good to go regardless of the direction the wind blows. Now if I can only find the new Lego Mellenial Falcon and a decent bottle of wine. Ha, ha, loved the Dungeons and Cookies story. It's been soooo long since I played D&D. What makes Christmas special for me is being able to spend it with my family. We share joy and laughter and gifts, but what's important is that we all know the real reason for the season. I hope you have a wonderful Christmas holiday! Happy New Year, too! Congrats on your story's appearance on the site! I nearly fainted when you listed the iPad and Surface prices. You could buy a freaking car for that! Congrats to Catherine, Donna, Anna and Rayven on their new releases! Geekdom House! It's so great to hear that there are Jesus Geeks out there and so people who can both embrace God and geek culture. And I say "Jesus Geeks" in a complementing sense. We are now in the age of the geek movement which is almost parallel to the '60s and '70s hippy movement as far as culture (or counterculture even) goes. The '60s and '70s had Jesus Freaks; today has Jesus Geeks! Which is so neat! I don't consider myself religious but I am spiritual and so I think it's great that people can both believe in God while yet embracing their inner geek, as they say. Congratulations! That sounds like a great publication. And, of course, there are many books in that list I want to read! Woo hoo....congratulations! Thank you for announcing Dee and Deb... much appreciated! Wishing you and your family a blessed holiday season and Happy New Year! Congratulations on Dungeons and Cookies. I'm also wishing you and your family a blessed Christmas and a Happy New Year! Have an amazing Christmas week, Alex. The best present I ever got was a custom Monopoly game with memories of adventures with the Buttercup Gang in place of properties and Chance and Community Chest cards. Christmas is special for me because it's usually the one time of the year when I get to see most of my family. I have a bunch of aunts and uncles on my mom's side, and the yearly gathering has long been the only time most or all of them are in one place. I now live near one of my uncles, and the rest of the family visits him from time to time, so I get to see them more often. But Christmas is different, and more special. Congrats on your story! Merry Christmas and Happy New Year! Great post, Alex. Christmas: I like how everyone in my extended family makes an effort to get together. And, the food, of course. Yum. Have a wondrous Christmas, Alex. See you next year. Mini Alex looks handsome as always~ Puppy Geek love-great term! I am in puppy love, too. We have a new furry family member-I am sleep deprived. I will share soon. Thank you for all the great Christmas ideas! Merry Christmas to you and yours! Cheers to 2016~ I hope you and Mrs. AC have a season filled with love and light! Happy Christmas, Alex! Your relaxing approach to Christmas is WONDERFUL! We did that last year (for the first time) and it was lovely. This year, we are throwing ourselves into the wild fray of 9 nieces and nephews and two households filled with Christmas cheer and general familial craziness. Oddly enough, I'm looking forward to it! Have a wonderful Christmas and a Happy New Year! See you in 2016! Yey, congratulations Alex on getting your story in that magazine! Go you, though hey, like they'd turn you own? Huh? And I JUST started watching Badlands on Amazon Prime last night. I gorged on three episodes, and considered staying up till the early hours for another. But saved them for tonight. Love it!! Awww, thanks for the Heart in a Box shout out. And wow, I didn't know one could draw with an iPad pro. I will have to look into that. Merry Christmas and Happy New Year Alex. All my best to you and your wife. Have a wonderful break. Hope to be back up and running in the New Year. God Bless! Jennifer, I'm doing a lot of drawing. Robyn, I will, and that's my kind of Christmas Day as well. Sandra, sounds like our date nights. Steven, I'm proud to be a Jesus Geek! Ella, can't wait to see him. Jo, it's bigger and can do SO much more! ipad pro looks good, but I couldn't justify the cost since I already own an ipad. Oh and I saw Star Wars at last. Squeeeeeeeeeeeeeeeeeeeeeeeeee! Have a very Merry Christmas, Alex. One full of God's blessings. Hi. I don't know how you keep up with all of us, but somehow you do. Merry Christmas and Happy New Year! Have fun, Alex and Mini-Alex! Hi Alex! Congrats on Geekdom House. I love this idea. I will check it out. I hope you have a Merry Christmas! Merry Christmas to you and your family and mini-Alex! Congratulations on your new story -- I hadn't heard of Geekdom House before, it sounds like a great group! Gah, I forgot Into the Badlands existed! Now I know my next show to watch. Congratulations on your story in Geekdom House Magazine. Will have to take a look. The main reason to celebrate Christmas is to honor Jesus' birthday! We had a nice time at church and then I made a huge celebratory dinner. Congratulations on publication with Geekdom House Alex! I hope you're having a great Christmas and enjoying your break. See you in the New Year! Congratulations on having 2 publications. Awesome news! Happy New Year. Hiya Alex!! Nice news about the iPad Pro. I think I'll recommend it based on all the great things I've read about it. It's out of my pocket-book range right now as I just had to shell out for a new MacBook Pro...but it does sound like an awesome tool!! 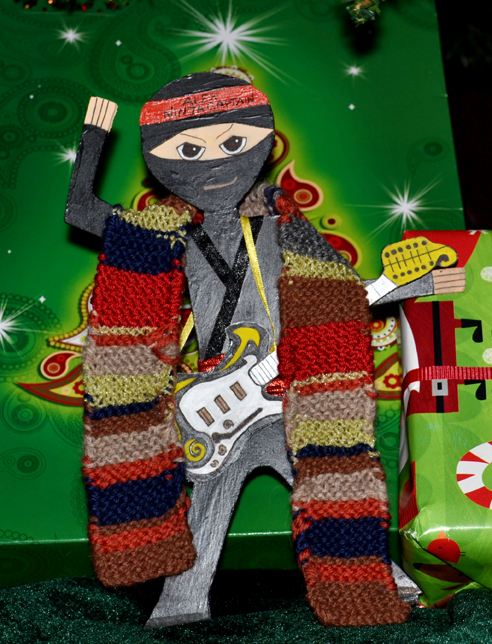 Glad you had a radical Christmas and hope you and yours have a happy new year!! I'll have to check out Into the Badlands; it looks interesting. Hope your Christmas was fabulous and Happy New Year! Hope your holidays were the best ever, Alex. It's my end of the year post to all the bloggers I know and love! 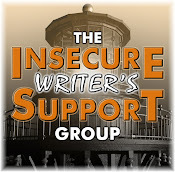 Thanks for your hard work, great posts, and bloggy friendship. Wishing you all the best in 2016 from "the Flipside." Lynda, it was good, wasn't it? Eve, that's the best reason to celebrate. Randi lee, if you ever get the opportunity, get one! I hope you had a wonderful Christmas with your family & friends, Alex. I'm back at work now, so trying to get back into the swing of things for another year. ARGH! I have a Mac laptop, and wouldn't have it any other way ;) I also want to get an iMac - I've wanted one for a LONG time, and sometime soon I intend to get one!